Every single journey toward wellness is as unique as each individual seeking it. No one routine is the same as the next, and that’s the beauty of it. We’re all nourished spiritually, mentally, and physically by different things, and that extends to self-care—the practices that make us feel happy, confident, and whole. So much of the self-care conversation has centered around the idea of “you do you,” which—don’t get us wrong—is awesome and very much needed. But as 2019 kicks off, we’re focusing on expanding self-care to include an often overlooked yet major common denominator for everyone’s wellness: our personal relationships. Research has shown that strong ties and relationships are a significant marker of happiness and quality of life. But whether it’s strengthening a romantic relationship, connecting deeper with a family member, or reconnecting with an old friend, every bond is different. “Relationships are a lot like houseplants: Some plants are high maintenance and need a lot of care and specific environment, but they are unique and beautiful. Other plants require hardly anything,” says Christy Haas, a relationship counselor based in Cincinnati. “Being aware of what your relationship needs and cultivating that is so important,” she adds. 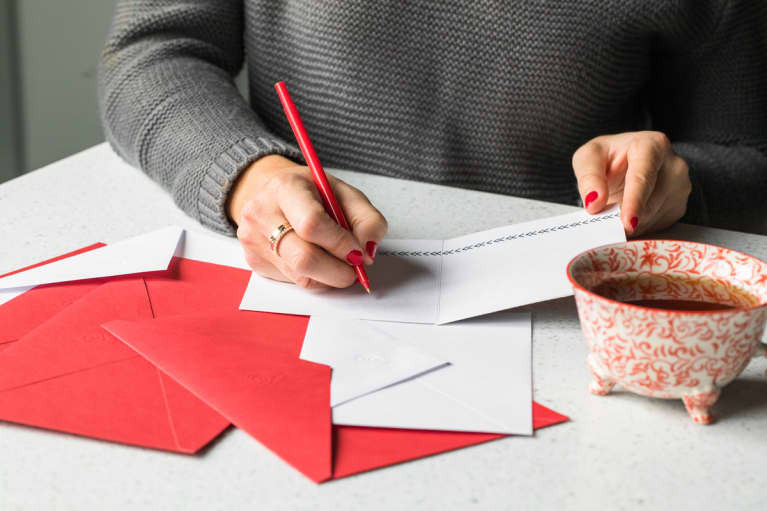 “Knowing what your loved one requires to feel connected to you and vice versa is key.” For example, some people will be moved by receiving a heartfelt greeting card from you; others feel close to you by catching up every so often. When your relationships are strong, everything else is easier. 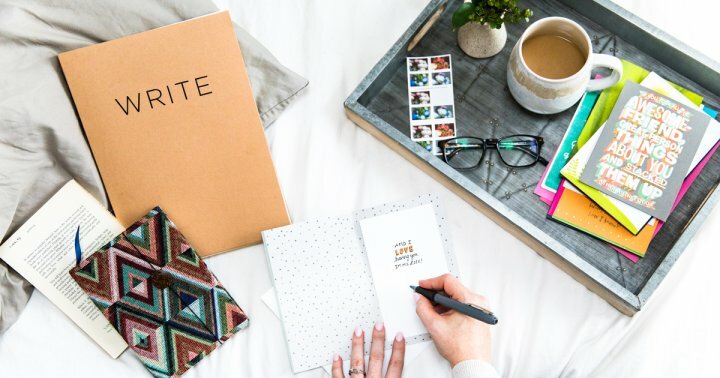 Follow these easy tips for simple practices to nourish your connections over 21 days, and watch your connections and relationships grow deeper, stronger, and healthier. And don’t be surprised if you find yourself feeling happier as a result! Say “thank you.” Even if it’s for something little like washing the dishes, picking up lunch, or making a reservation: According to a study from the University of Georgia, giving thanks is a key ingredient to improving relationships, especially in marriages. Reach out to that cool person you just met.We’re often meeting new people but rarely reaching back out to build a new relationship. Make good on saying, “We should hang out sometime!” and actually make the effort to plan something. You never know where it could lead! Practice active listening. Focus on what the person is telling you rather than thinking about your reaction or response to what is being said. Schedule a phone call throughout the week—yes, even if it’s a busy one—to give your loved one full attention and let them know you’re thinking about them. Get coffee for someone. A simple gesture like this can help improve a connection because it makes the other person feel noticed, finds research from the University of Michigan’s Survey Research Center. Plan fun date nights and turn off all screens, showing your partner that all of your focus is on them. Follow up when someone tells you that they’re going through a rough patch. A good friend will listen when you tell them about your crappy day. A great friend will listen, then check in the next day to make sure you’re OK.
Bring up a funny memory. One interesting study found that people who remembered laughing together reported greater relationship satisfaction than those who remembered experiences that were positive but not necessarily when they LOL’d. Celebrate someone. They don’t have to be newly engaged, promoted, or pregnant (though if they are, step up and offer to plan or host a celebratory gathering). Showering someone with love and support—just because—can help build major confidence. Exercise together—that new class your friend’s been hinting at trying for the past six months? Sign them up, do it together, and get those feel-good endorphins pumping. Be vulnerable. Often, the strongest bond between two people is the trust that develops after one or both shares something about their fears, flaws, or insecurities. Use your daily commute. Call your mom to catch up while you’re driving to work, or pick up a surprise treat you know your partner will love on your way home. Give a compliment. Make it a daily practice to say something kind to people you love—even better, the people you spend time with in your day-to-day, like your co-workers or gym instructor. Write a good old-fashioned love letter, or surprise someone with a greeting card. Tuck one into a significant other’s work bag, leave one on a co-worker’s desk, or leave it on their seat in the car. Watch a TV show at the same time with a friend who lives far away, and text your observations and reactions. Set aside time—try for at least once a week—to be intimate with your partner. Couples who do the deed at least once a week report the greatest relationship satisfaction, according to a recent study. Sign up for a new class together. Whether it’s a ceramics class or a boot camp, couples who frequently try new things together have higher-quality relationships, according to research published in the Journal of Personality and Social Psychology. You don’t have to be in a relationship to learn something new together, either, of course! Take a day trip. Spending time in a nearby but unexplored city can be the perfect change of pace that helps you strengthen the foundation of your friendship. Time away from the day-to-day will help you feel more relaxed, and the anticipation of the trip—and the memories you’ll make—give the experience additional meaning and value. Eat dinner together as often as possible, especially if you have kids. Make it a point to use mealtimes to share your day with your family. Congratulate each other on accomplishments and encourage those who had a bad day. Research shows kids who regularly eat meals with their family have higher academic scores and reduced use of tobacco, alcohol, and drugs. Start a tradition with your circle of friends.Humans live and thrive in community. Hosting a monthly game night or weekly potluck can help establish and foster a strong support system among friends—and that’s something we can all benefit from!